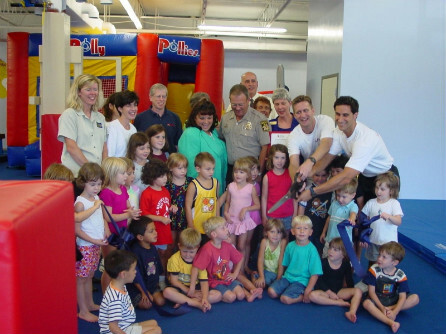 Rolly Pollies® is the premier Children's Development Center in the country offering the most effective and comprehensive gym, music and creative arts programs, and a proven, reliable system for generating results. We give you the tools, training, and methods to create a successful business that provides lasting value for its students, their families and their communities. Child-centered businesses are everywhere and the industry is growing rapidly. As the baby boom continues, and more and more kids are competing for shrinking resources, parents will continue to look for new and creative outlets for their children. This trend will allow for tremendous growth in this industry . . . and the Rolly Pollies® franchise model is on the cutting edge of that growth. As a Rolly Pollies® franchisee, you won’t “work” another day in your life. Meeting and establishing relationships with people in your community, teaching their kids and helping them grow and develop will, without question, be unlike any other job you’ve ever had. No more business suits, no more meetings, and no more bosses ... just good people, a healthy atmosphere, and lots and lots of fun! We are looking for energetic and driven people who love kids and want to make a difference in their lives. You must have excellent management and people skills and a strong entrepreneurial spirit. Financially, you must have a minimum of $75,000 - $100,000 liquid cash available to invest in the business. Rolly Pollies can help you identify different funding solutions to obtain the $164,250 - $309,000 start up capital required to open your Rolly Pollies. for more information or fill out the form below. If you're interested in purchasing a Rolly Pollies Franchise, please fill out the application form. All submissions are held in strictest confidence. Many people want more than just a paycheck from their job. Most would like the opportunity to love what they do and make not only their lives better, but the lives of others better as well. This is exactly the right franchise for someone with this ambition. Rolly Pollies® presents a fantastic franchise opportunity for those people who not only want to make money but also want to make a difference. Owning and operating a Rolly Pollies® Franchise can be very rewarding. Our business opportunity is designed for people who love kids and have excellent management and people skills. We grant exclusive development rights to each franchisee and are looking for franchisees who want to grow a significant business consisting of single or multiple units. your future is staring you right in the face!